Released in July 2018, EVOKE is the latest complete family of hearing aids from Widex. 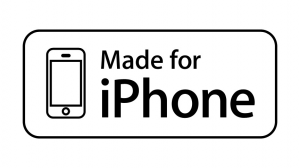 The EVOKE family includes the Made for iPhone Fusion 2 style, down to the invisible micro CIC (completely in the canal) style. 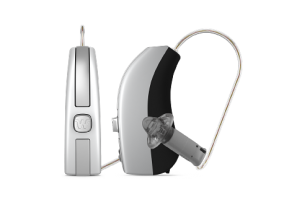 Widex refer to the EVOKE family as ‘the world’s first truly smart hearing aid’. EVOKE is both a completely automatic hearing aid , and it can also learn your individual preferences and apply these automatically when the hearing aids are in that same situation again. All Widex EVOKE hearing aids come with the proven sound processing system called Fluid Sound Analyzer. This system automatically divides listening environments into distinct sound classes, which means the hearing aid is automatically selecting the most appropriate setting for each environment. Widex EVOKE hearing aids are available in a range of technology levels from Premium (440) through to Essential (220) to suit your budget and lifestyle. 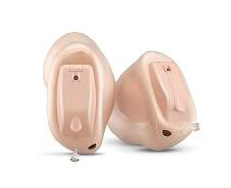 The Fusion 2 style is the most popular style in the EVOKE family of hearing aids. 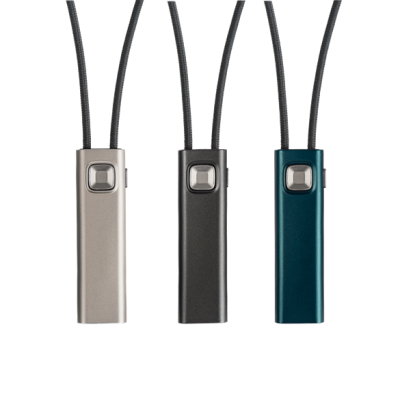 The fully featured, ultra discreet Fusion 2 style is available in a range of colour options to match your hair colour or skin tones. The Fusion 2 style is the only style in the EVOKE family that is Made for iPhone, meaning you can stream phone calls and any other media, such as music, directly from your iPhone to the hearing aids. SoundSense Learn (read below for more information on this feature) is only available in the Fusion 2 style. Powered by a 312 battery, the Widex EVOKE hearing aids has the lowest battery consumption of any Made for iPhone hearing aid on the market today, meaning you do not have to change the batteries as often, saving you time and money. Fusion 2 is also compatible with the Z Power recharge kit, for those who do not want to, or are unable to change batteries. You can also choose Widex EVOKE in a conventional behind-the-ear (BTE) style or custom in-the-ear styles including the smallest completely-in-canal (CIC) style for the most discreet option. Even the smallest Widex EVOKE hearing aids are still packed with features including: the SoundSense Adapt learning feature and the Fluid Sound Analyzer which automatically adjusts for different listening situations. At the heart of every Widex EVOKE hearing aid is the proven sound processing system called Fluid Sound Analyzer. This is a system which automatically identifies up to 11 different sound classes (listening environments) to ensure the hearing aid automatically adjusts itself to the most appropriate settings no matter where you are wearing them, even in loud restaurants, parties or listening to music. Two of the eleven sound classes are brand new: ‘Social’ which maximises performance in small group situations, and ‘Music’ which has two variations (Contemporary and Classical). SoundSense Learn is a feature available in the Widex EVOKE Fusion 2 style. 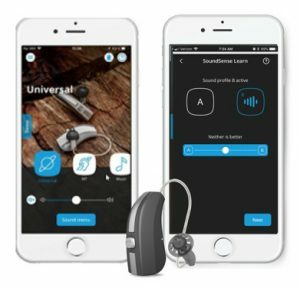 Available with the Widex EVOKE App, SoundSense Learn allows the user to listen to two sound profiles (via a simple A/B comparison) and choose the one that they prefer. The more the user compares profiles, the more EVOKE learns about their preferences to then optimise the listening experience. Users can then save these settings as a ‘favourite program’ and use this program the next time they are in this situation. SoundSense Adapt is a learning feature in all Widex EVOKE hearing aids. Although the EVOKE hearing aids will automatically adjust to each listening situation via the Fluid Sound Analyzer, users can make adjustments (eg volume) to the hearing aid via the Widex TONELINK App. When the user makes consistent adjustments in specific listening situations, the SoundSense Adapt feature will then remember and apply their preferences. In addition to the Made for iPhone functionality, EVOKE is also compatible with the full range of DEX accessories from Widex. 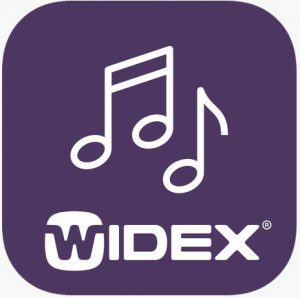 This means that if you are an Android phone user, or you wish to stream audio from your PC, pairing your Widex EVOKE hearing aids with the COM-DEX system allows you to instantly stream phone calls or music directly into your hearing aids. It is available in three stylish colours to reflect your personality: Champagne White, Anthracite Grey and Emerald Green. The Premium Evoke 440 range is for those who do not want to compromise and want the best possible hearing in all situations.